Myles Standish State Park and Forest in Plymouth, Massachusetts – Southeast Massachusetts is home to Myles Standish State Park. It is the grandest leisure area that is publicly owned in the state. Nearly 500 campsites lie tucked away under cover of forest, or neatly placed at the edge of one of the park’s sixteen ponds. If you’re not camping but still want to visit, there are two visitor-accessible areas that offer spots to picnic, swim, fish, or go canoeing. Bicyclists will enjoy the fifteen miles of trails, horse enthusiasts the more than twenty miles of trails for horses only, and nearly forty miles of trails for those on ORVs. If you seek a long, winding hike into the deep forest, there are even hiking trails set aside. 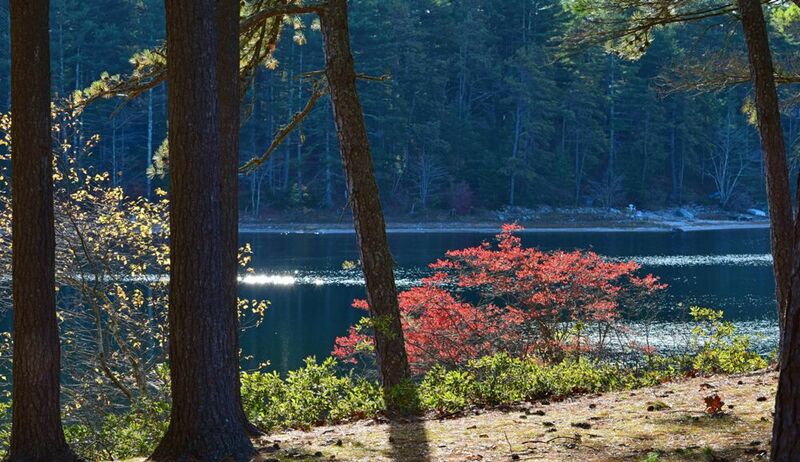 Myles Standish State Park is more than just a place for recreation. Conservationists are hard at work here taking care of the coastal plain areas of ecological significance known as kettle ponds. These ponds are sensitive to use, meaning even walking along their shores can damage delicate ecosystems. Please pay close attention while exploring the park to the barriers in place and signs that are posted marking these sensitive areas. There is hunting permitted during hunting seasons, and there are two designated hunting grounds within the wooded region that are perfect for game foul in late autumn. During the summer months, there are various interpretive and interactive programs for both children and adults that explain the natural biodiversity of the forest, as well as its culturally significant aspects. There are maps available at the park that are free to take to make your stay more comfortable. Because of the size of the park and everything that is included within it, the map is large. The park is actually bigger than many towns in Massachusetts; however, it is easy enough to navigate, as forest roads are set up on a grid, just like a city map. The map also illustrates which roads are navigable and which roads are meant only for emergency service vehicles. At each intersection you’ll see signs marked with the direction of each of the park’s main activities or locations.